Conspiracy theorists across the globe believe that the Rothschild conspiracy is credible. The theory argues that the Rothschilds secretly head a cabal that dictates global affairs. Many skeptics label this Rothschild cabal as the “Illuminati”. The theory is gaining popularity and traction even amongst those who don’t consider themselves to be actual conspiracy theorists. The foundation of the infamous Rothschild fortune stems back to the man who began the family legacy, Mayer Amschel Rothschild. He was born in a lower class Frankfurt neighborhood back in 1744. His family was ostracized because they were Jewish and also because they were poor. When Mayer reached adulthood, he attained an apprentice position at a Hamburg bank. This is where the seeds of his banking career were sown. Mayer learned the ins and outs of banks until he knew enough to go into business for himself. He did so at the age of 19. Mayer provided small time banking services in Frankfurt and also acted as an investment broker and rare coin trader. Mayer succeeded immediately because he made it a point to do business with predominately wealthy clients. 21 years later, he befriended the Elector of Hesse, Landgrave William. This relationship flourished primarily due to the fact that William had traded some rare coins in the past with Mayer’s father. With William’s help, Mayer laid the foundation for his dynasty. The two worked together to grow Mayer’s small banking business into several more banks until it became international in scope and eventually reached epic proportions. Mayer’s lineage carried on the banking business until it developed into a full fledged financial behemoth that was international in scope and influenced government affairs over multiple eras. In total, Mayer had five sons. Historians believe that the Rothschilds held the most wealth in recorded history at some point in the 1800s. Much of the clan’s wealth was built from the accumulation of interest by manipulating savings interest rates and interest rates from loans. It is believed that the Rothschilds’ extraordinary wealth has shrunk since that time, as it was spread amongst over one hundred offspring. In the modern era, Rothschild businesses are diverse and still very successful. Rothschild businesses operate in many nations and reach beyond the financial sector. They include energy, farming, mining, wine and more. Theorists argue that the Rothschilds have become wealthy enough to influence in governments across the globe. This supposed influence stretches so far and deep that it can determine which politicians are elected, what stories make the news, the direction of the global economy and even where wars will be waged and what side will be victorious. Theorists argue that the Rothschilds dictated the outcome of the Napoleonic Wars amongst several others. 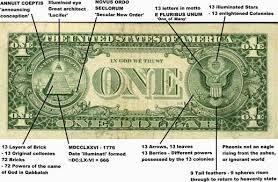 If the theory is accurate, the Rothschilds act as modern day kings and queens but do so from behind the scenes. They are the true central power that dictates not only the supply of money but also the supply of all vital goods and services. If the theory is true, it means that all meaningful international politics are staged, presidents and other politicians of importance are hand picked and the news is scripted. This all happens due to the incredible concentration of power within the Rothschilds and other powerful clans. By acting together, they are able to control global affairs in secret. Their hand picked government officials are merely puppets that act out the cabal’s commands. Why would global leaders resign themselves to the influence of the Rothschilds? Why resign a nation’s sovereignty to the will of a small cabal? Theorists believe that they do so for money, power, fame and possibly to avoid retribution for defying the orders of Earth’s most powerful clan. This theory isn’t as far fetched as the mainstream media would like the public to believe. The inevitable result of capitalist economics is the concentration of wealth at the top. By allowing human beings to earn unlimited amounts of money, we’ve opened the door for a plutocracy run by a very small cabal. A cabal that collectively operates as a sort of secret king. Simply put, unlimited wealth means unlimited influence. Zionism is central to many of the theories regarding the Rothschilds. Skeptics who believe in the Rothschilds’ unchecked power and influence believe that they have attained such a massive fortune by joining forces with fellow Jews. Plenty of these skeptics believe that Jews control the finance sector of not only the United States but also that of the majority of countries. This Zionist angle only works to lessen the credibility of the Rothschild theory. Most ordinary people will immediately discredit the theory as soon as Zionism is mentioned. 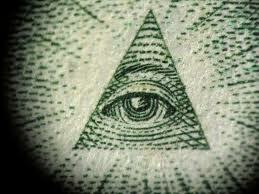 Many conspiracy theorists claim that the Rothschild family heads a secret cabal commonly referred to as the Illuminati. There are claims that the Rothschild family owns half of the world’s wealth. This accrual of wealth empowers the Rothschilds to not only influence the world’s finances but to also control world politics, media, wars and more. 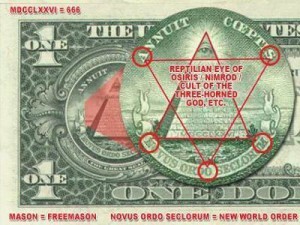 Many conspiracy theorists claim that the Rothschild family heads a secret cabal commonly referred to as the Illuminati.